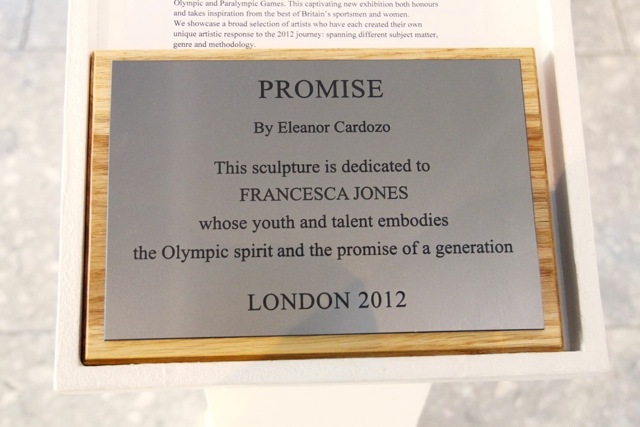 On 19th January the 3m gymnast sculpture was dedicated to Francesca Jones for her talent and contribution to British Rhythmic Gymnastics. 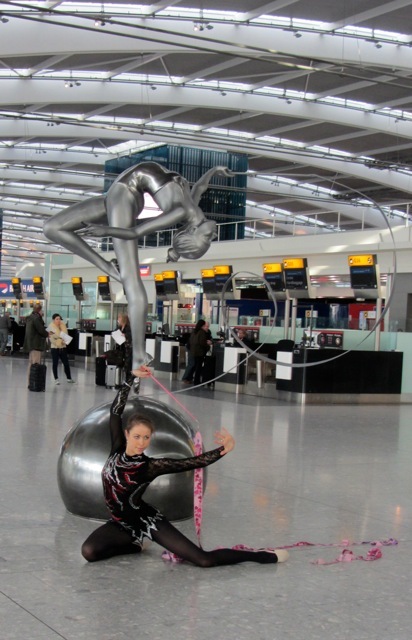 ‘Frankie’ gave a performance around the sculpture with support from the British Rhythmic Gymnastics Team. BBC Wales filmed the event which was shown on BBC 2 at 10pm on Friday 20th January. The event coincided with the opening of a new exhibition of paintings and sculptures celebrating gymnastics at the T5 Fine Art Expo gallery. Photograph by David Dyson.